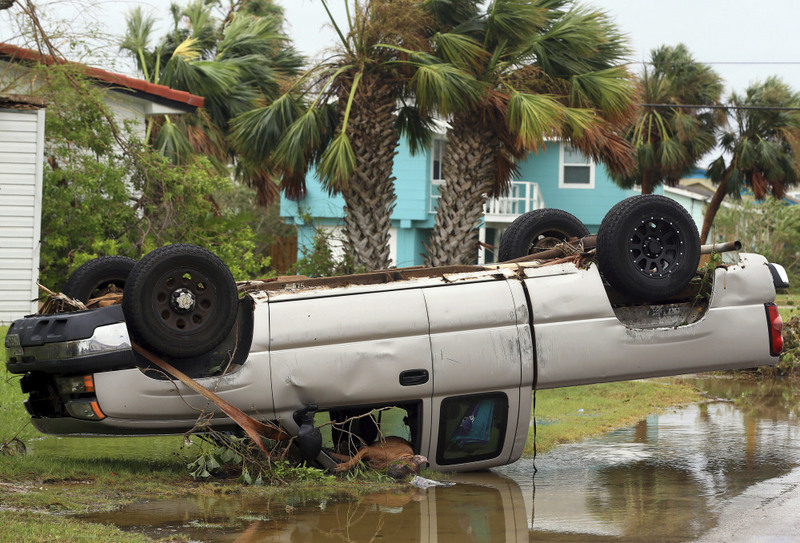 Claiming a single confirmed fatality near hard-hit Rockport, the storm plows inland after pummeling the coast, promising historic flooding. 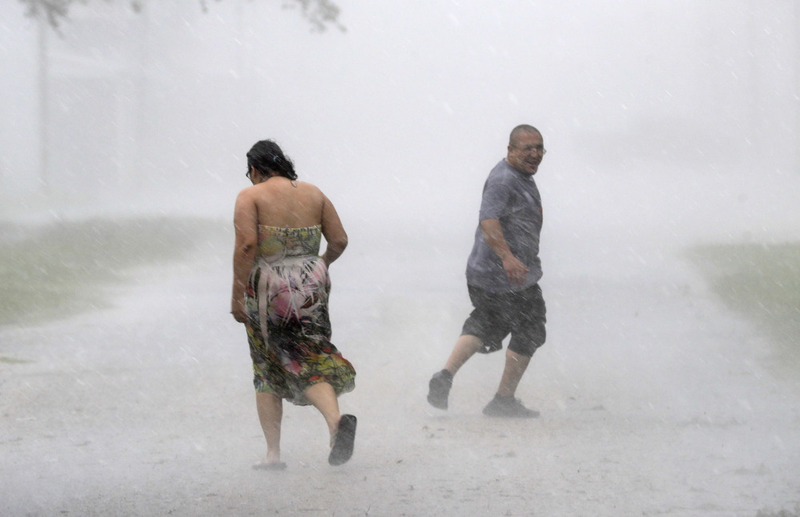 Antonio Barron, right, looks back to his girlfriend, Melissa Rocha, as they run through the street during a band of heavy rain. 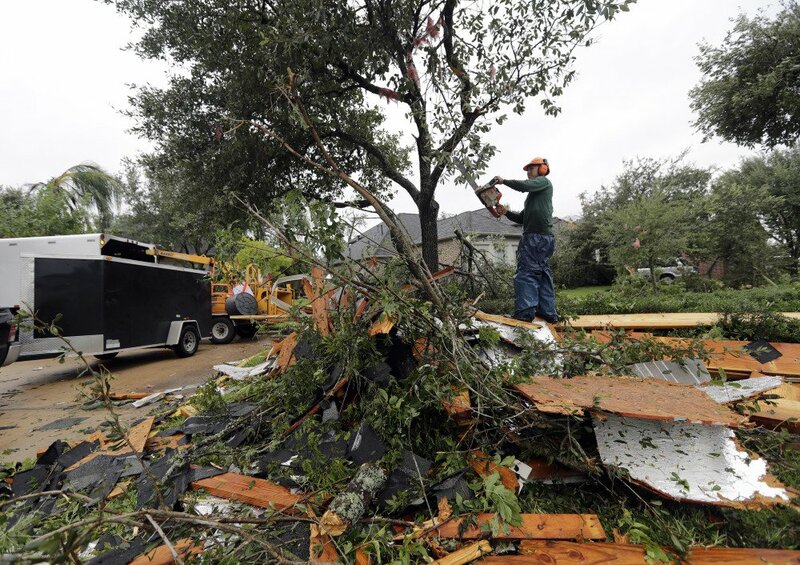 VICTORIA, Texas — Harvey pummeled Texas on Saturday, destroying buildings and causing massive power outages, as residents evacuated towns and prepared for historic flooding that could keep them from their homes for days. 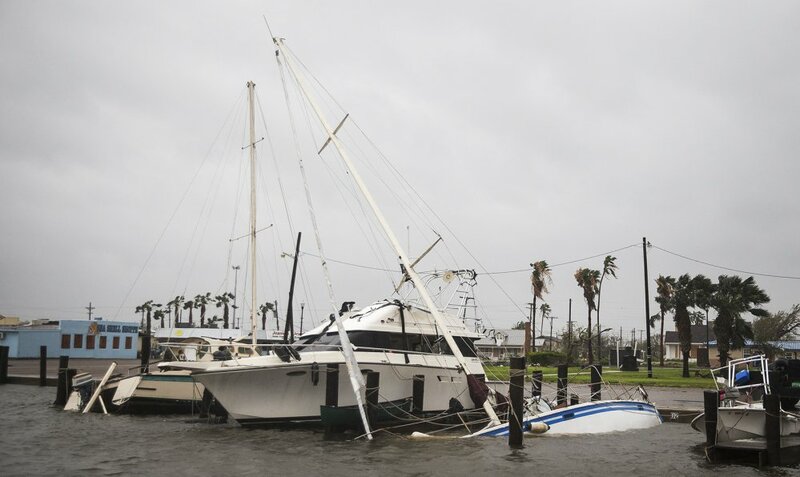 After the storm pounded the Texas coast, it crept inland and stopped moving, as if mired in mud, meaning its torrential rains are not expected to abate for many days. Rising rivers have started to trigger evacuations across a broad section of the state, and computer models are forecasting record flooding. 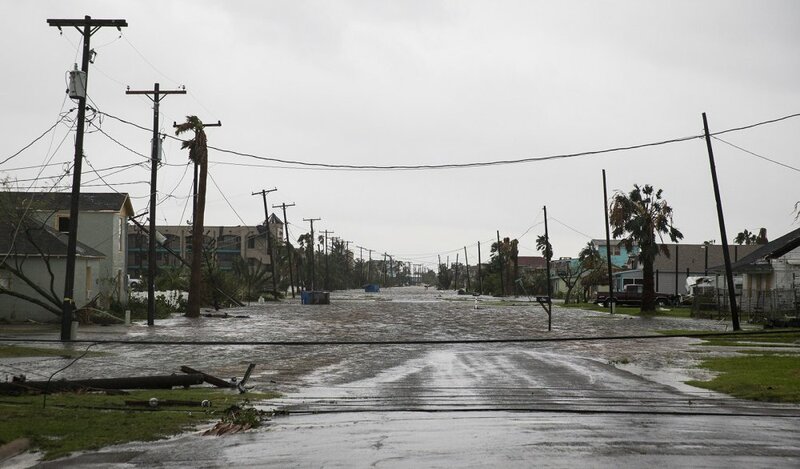 Officials confirmed one fatality near the small coastal town of Rockport, which took a direct hit from the eye of the storm, as search and rescue operations continued in ravaged areas that have become largely inaccessible. 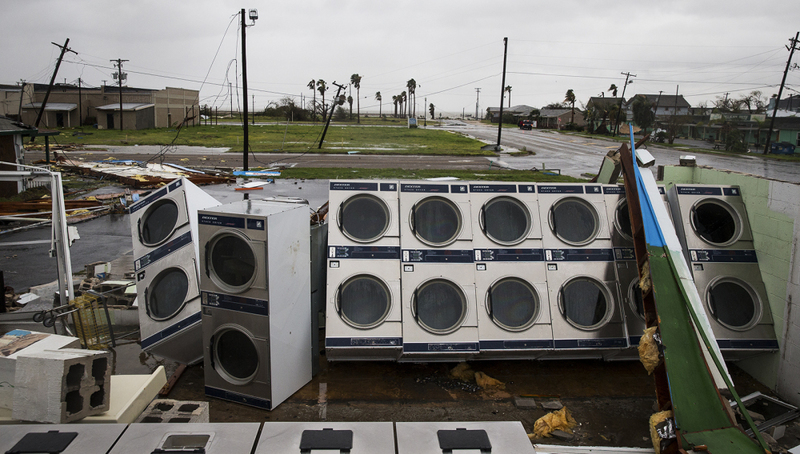 Officials said Rockport could receive up to 60 inches of rain through midweek. In the nearby island town of Port Aransas, officers conducted a search and rescue mission for eight people who have been reported missing, an Aransas County Sheriff’s deputy said. In the coming days, forecasters expect, the tropical storm will meander south and east, and possibly slip back out over the warm gulf waters, allowing it to restrengthen to some extent. 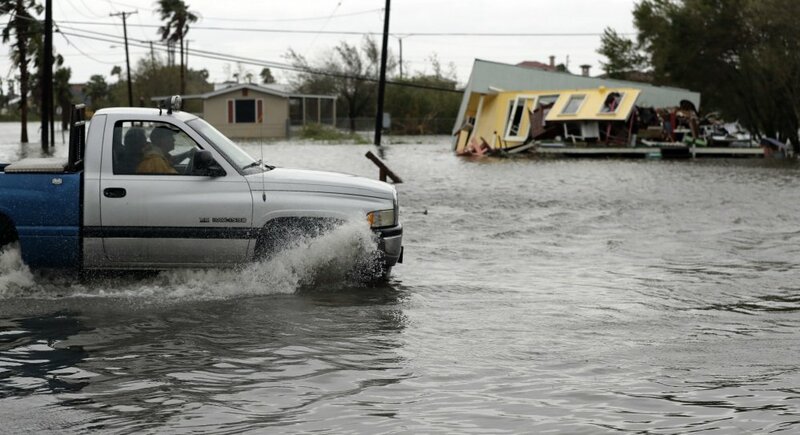 All the while it will dump what could be historic quantities of rain – 15 to 30 inches in many areas, with as much as 40 inches in isolated areas, according to the National Weather Service. More than 200,000 people across the state were without power early Saturday, and wastewater and drinking–water treatment plants here were offline. 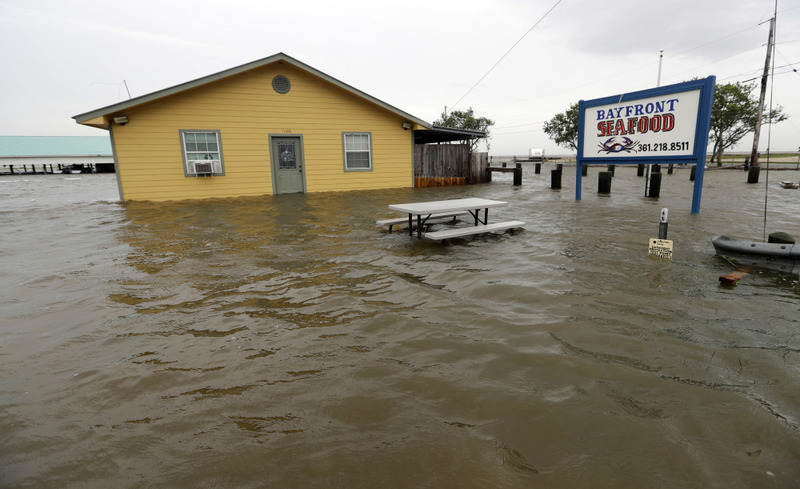 The National Weather Service predicted “major flood” conditions at some 49 rivers across a vast region of coastal Texas. Many coastal Texans ignored mandatory evacuation orders and hunkered down for Harvey. That city was directly in the line of fire of Harvey and emerged Saturday looking trashed, with the streets deserted. The once–stately oaks in the public square by the historic courthouse had been knocked over. On the main drag through town, the Exxon station looked demolished, along with a Valero station nearby. Plywood that had been nailed to storefronts littered the streets. Shingles had been blown off roofs. 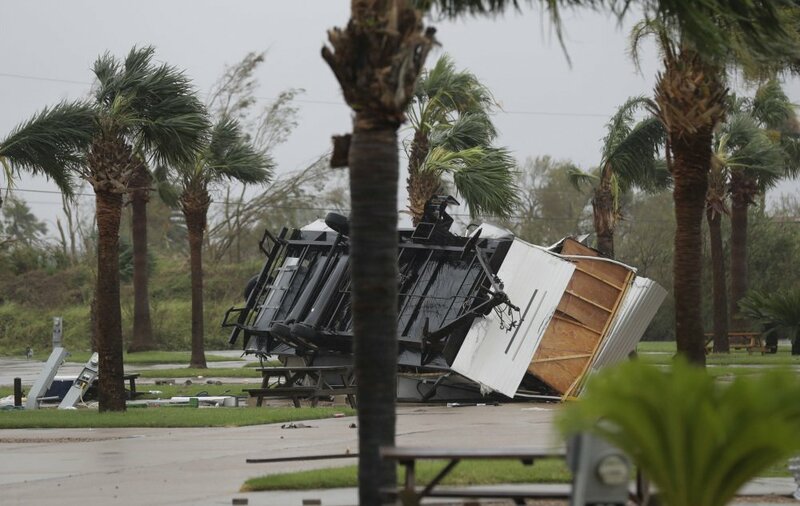 Bryan Simons, spokesman for Victoria County Sheriff’s Office, warned that more devastation was coming. “There will be life–threatening, catastrophic flooding here,” he said. The Tres Palacios River has already risen more than 20 feet near Midfield, according to the U.S. Geological Survey. The San Bernard River near the town of Sweeny is expected to rise more than 10 feet above its 1998 record flood stage. The Brazos River is expected to break a flood record set last year, and officials have ordered mandatory evacuations in low–lying areas of Fort Bend County. Among the cities at risk of major flooding is Houston, the nation’s fourth–largest, with a population in excess of 2 million. 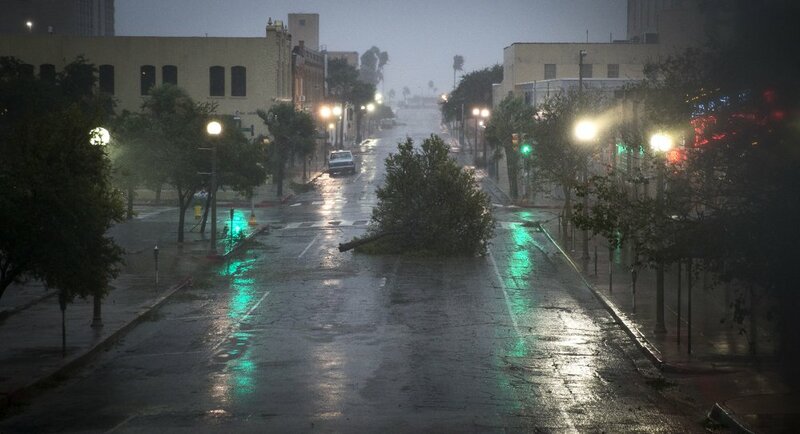 Early Saturday morning, the city was buffeted by waves of rain and lightning followed by periods of calm. 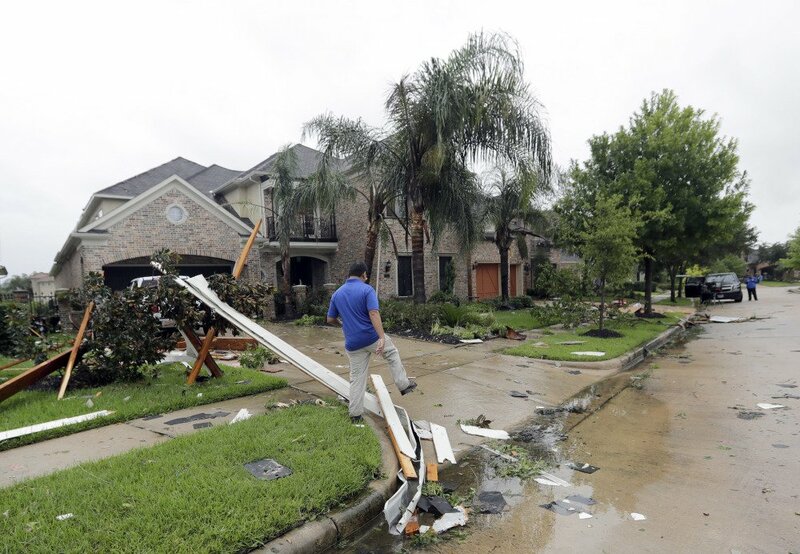 In the southwest part of the city, Brays Bayou was swelling with fast–flowing, debris–filled brown water, and a tornado touched down in a suburban neighborhood. 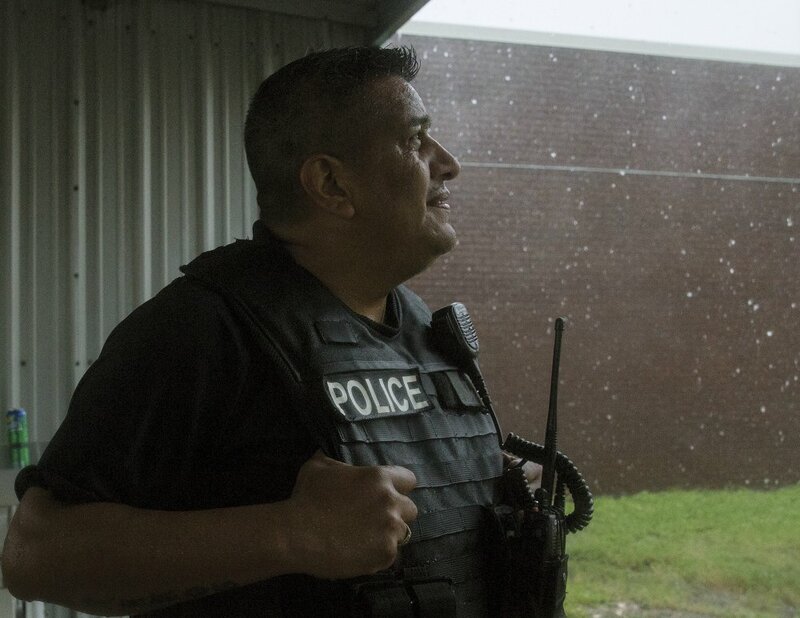 Montry Ray was staying up late to ride out the storm with his wife and two children when the roaring sound of the tornado sent them running for cover in a bathroom. Just as they bolted from the master bedroom, the storm exploded through its wall, embedding bricks in the drywall across the room. The storm ripped open the roof. He, along with about 50 neighbors, turned out Saturday morning to help clean up. 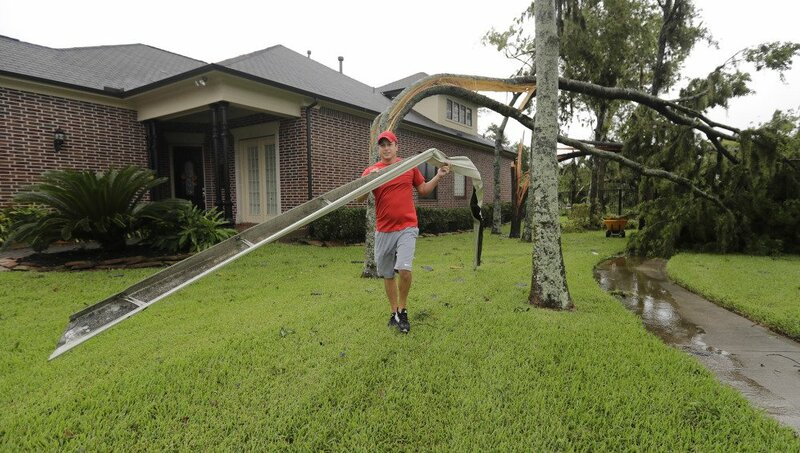 Volunteers chopped fallen trees, hauled away crumpled fences and gathered debris while roofers worked on homes. 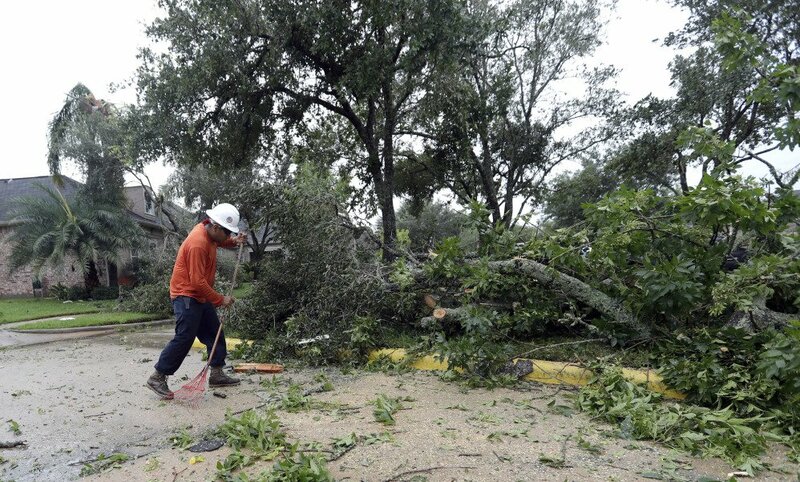 To the west, San Antonio Mayor Ron Nirenberg urged residents to continue to stay off the roads as Harvey neared the city and brought wind gusts up to 60 mph and heavy rain. The city is under a flash flood watch and tropical storm warning. “We don’t want anyone in San Antonio to let their guard down,” Nirenberg said. The city closed 10 roads in the area due to high water, and officials expect that number to grow. 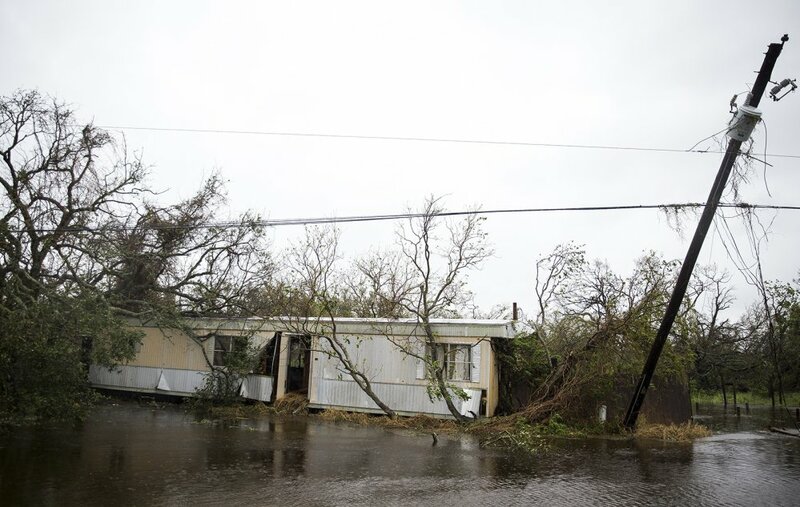 Weather officials took to social media and the airwaves Saturday in an effort to persuade people not to become complacent because of the relatively muted impact so far in places away from the Rockport area. 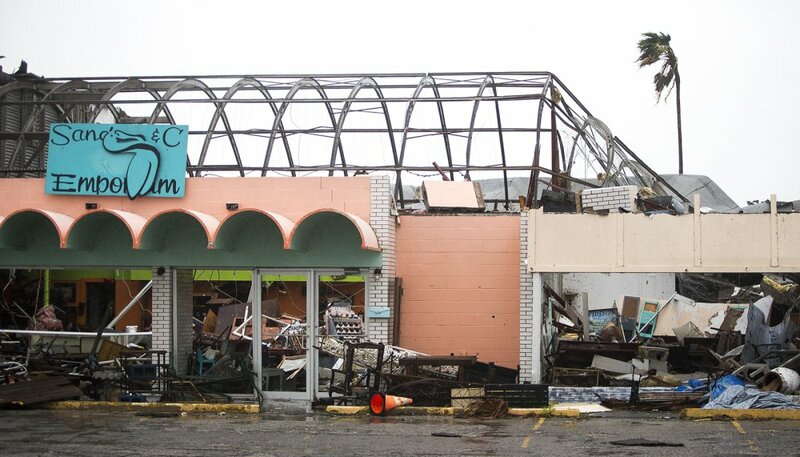 In Galveston, a city that lived through the last big Texas hurricane – Ike in 2008 – residents seemed unconcerned. “We thought it was going to be much worse,” said Latoya Fulton, 33, who was eating breakfast with her husband and four children at Waffle House. The Fultons, who live in Galveston, spent Friday night in a hotel in Conroe, north of Houston, as a precaution. 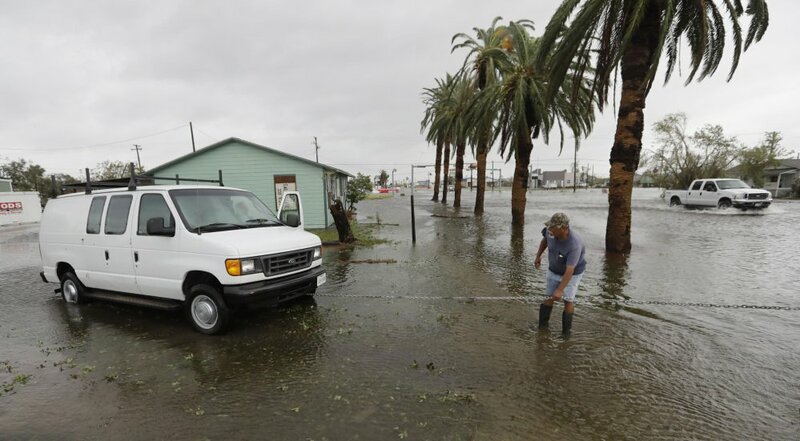 But they returned Saturday morning to their undamaged house when news reports made it clear that Galveston had been largely spared from the hurricane’s winds. A few tables over at the packed restaurant – one of the few businesses open in the area – Galveston residents Dottie and Kevin Bowden ate breakfast with their 16–year–old granddaughter, Savannah Stewart. “This ain’t nothing,” Kevin Bowden said. All the houses in their neighborhood are built on stilts, so the Bowdens and their neighbors weren’t worried about flooding, and local officials did not issue a mandatory evacuation order. Everyone in the neighborhood stayed to ride out the storm. 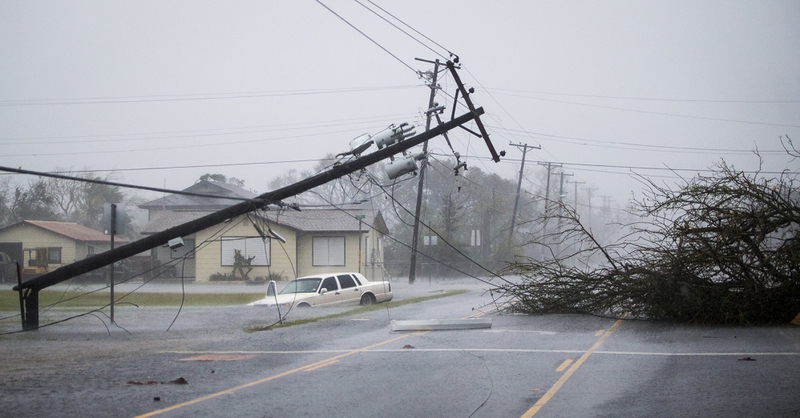 Farther east, the hurricane has put officials in New Orleans and across Louisiana on alert, and Gov. John Bel Edwards (D) said Saturday that it could be a week before the state has to cope with flooding. He said the pumping system in New Orleans, which flooded earlier this month after a heavy downpour, is steadily improving. “We’re a long ways from being out of the woods, but we are very thankful it hasn’t been more severe up to now,” he said of the storm. President Trump Friday night signed a disaster proclamation for Texas after Abbott, the governor, sent him a written request saying that “Texas is about to experience one of the worst natural disasters in the history of the state.” White House aides said Trump will visit Texas in the coming days.